There’s a breadth of complexity to the challenges that businesses and government face today that provides an unparalleled landscape for the design industry to step up and demonstrate its ability to solve complex social and economic challenges, and drive opportunity through innovation into the organisations we work with and for. But the design industry must become the architect of its own future, which is why the work of the DBA is so pivotal in galvanising the sector to achieve this change. The DBA’s Board of Directors is fundamental to this process. Elected from the membership, our Directors possess diverse, yet highly relevant experience of bringing design to the strategy-setting table of business. They work closely with the DBA’s management team to develop the strategy and frameworks by which we support and enable the sector to drive design ever further up the agenda in business and government, and together as an industry can build universal confidence in design investment. Deborah began her career with the RSA working on their Student Design Awards and she set up her own business delivering design events, competitions and conferences all over Europe for leading organisations. In 2003 Deborah joined the Design Business Association as CEO. Funded entirely by the design industry with a remit to drive up their professionalism and the profile of design’s value in business, the DBA’s membership has more than doubled along with the association’s turnover to nearly £1million. She was President of the Bureau of European Design Associations (BEDA) for two years until March 2013. Deborah is a member the European Design Leadership Board, an expert group of design advisors to the Commission and in this capacity is often asked to address policy makers on the role of design in policy. Her experience of the design sector in the UK, this European-level insight and her work with BEDA, has resulted in her being consulted on the potential structure and strategy for design support in various countries. After several years at smaller and mid-sized independent agencies Vicky joined Coley Porter Bell in 1995. 22 years later and she is still there, and has been CEO of the agency for the past ten years. Vicky’s career highlights include winning a D&AD pencil for Kotex, building Kimberly Clark into our agency’s first million pound client, winning our first retail client with Morrisons and more recently winning our first ever global fashion brand. She has a keen interest in neuroscience and applying learnings from that to the creation of brands and has driven that agenda within the agency, developing ways of working that bake in System 1 thinking from the start, so improving a brand’s chance of real world success. Vicky is a member of WPP’s Stella, the female leadership group that champions the growth and development of WPP’s women, addressing the barriers that might prevent them from progressing their careers. She is also a member of WACL (Women in Advertising and Communication in London) and of the Marketing Society. Sean joined Philips in March 2011. He has more than 25 years of experience as an international creative thought leader in design and management, focused on brand and user insight. He has a proven track record in building, leading and inspiring multi-disciplinary, award winning design teams across the U.S., Europe and Asia. Sean Carney’s personal mission is to improve lives through meaningful, relevant design and he is perfectly poised to do so as the Chief Design Officer for Philips. Before joining Philips, Sean was leading the Global Experience Design operation within the Imaging & Printing Group for Hewlett Packard and was based in San Diego, California. He was a key driver in leveraging creativity and design thinking to drive meaningful innovation across every touch point of the user experience. This ensured that design played a more progressive role in the organization to effect positive business impact. Erika is co-founder of Spring, the strategic communications design agency that creates change for the staff and customers of organisations as diverse as EDF Energy, the Moroccan National Tourism Office, National Trust, Bollinger and Houghton Hall. She’s enterprising, unconventional and once she has a clear vision in place, moves heaven and earth to make it happen. She expects excellence and admires talented people, making sure to have plenty of them around her. Erika based Spring in Southwold, Suffolk because she’s also bloody-minded enough to believe you can run a global communications business from anywhere, and because she wants to make the world a better place in her own community as well as others. She’s mum, a runner, and a firm believer in the power of good. During Paul’s diverse international career, he has worked from small prestigious London design studios to some of the largest organisations in the world, including FM (UK), Design House (UK) IBM (UK), Electrolux (Italy) and Philips (Netherlands). From November 2005, he was the Senior Vice President of Design for Grohe (Germany). In April 2015, Paul Flowers was appointed to the new role of Chief Design Officer (CDO) at LIXIL Water Technology. 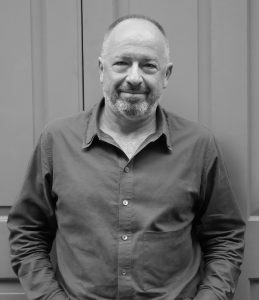 As a design expert, Paul has resided on many international design juries from The NDTV (Television) Awards India, The Designer Kitchen and Bath Awards UK, IF Design Communication and Product Awards Germany, The Perspective Design Award Hong Kong to the DBA Effectiveness Award, and has been a keynote speaker at international events like WAF, Waterwise Conference Oxford, Design City Luxembourg, WACOM Anniversary Japan, and Sleep Event amongst numerous others. With her design led background, Aileen has a wide range of both strategic and practical commercial experience including branding and identity, integrated campaigns, FMCG and retail, events and environments. In 2002, Aileen was appointed Managing Director of 999’s new London venture having held the position of Design Director at their Glasgow HQ for 8 years. 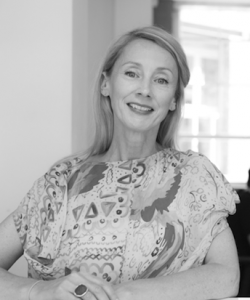 Since the opening of the London studio, Aileen has been instrumental in the development of a highly varied client base and succession of creative roster and contract appointments. These include two consecutive appointments to the BBC and British Council rosters; Digital UK – the largest public awareness campaign in history; Arts Council England; Guardian News & Media Group; King’s College London; BT; The Metropolitan Police’ Guide Dogs UK and TFL. 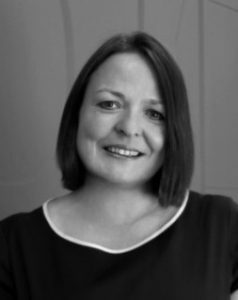 Over the past 15 years Aileen has contributed to 999’s success in the DBA Design Effectiveness Awards with highly varied projects for clients including the NHS, King’s College London, The National Trust and most recently for The Financial Times. During the last 20 years, Nanna has worked in creative positions at the LEGO Group headquarters in Denmark. Her background is a master in Architecture and a degree in Industrial Design. Currently, she has a team of over one hundred creative resources and she covers half of the LEGO product portfolio targeting children of all ages from Toddlers to Expert LEGO consumers. Nanna’s key contribution to the success of the LEGO portfolio is her unique understanding of connecting a strong creative skill and strategic innovative thinking with commercial, business and supply chain understanding. Nanna has an eye for new concept and business opportunities. One of her big achievements has been the introduction of LEGO for Girls with great success; this extended the LEGO consumer segment and started a completely new toy category for girls in the market place. At LEGO she has been instrumental in refocusing the core product offering during LEGO turnaround as well as introducing new ways of working within the LEGO Design Organization. Her focus has been attracting and retaining international design talent to Billund, Denmark, and building a strong innovation team with a global creative mindset yet still operating within a constraint business and complexity environment in order to create strong commercial successes with the consumer in focus. Lesley leads on strategy at The Engine Room, a brand agency in Yorkshire. With a strong focus on strategic objectives, she is interested in measurable returns and understands design in terms of impact, growth, service development and culture change. She cut her teeth in the industry working for a small agency, grew with it and, as a Director, was instrumental in its growth to a 30-strong £3 million turnover consultancy. She moved to the North of England to become Head of Division in a PLC, delivering communications solutions for the web. She then had a stint working in government-funded business support, working specifically with design agencies to develop their offers and further commercialise their services. Prior to joining The Engine Room, she was self-employed for nine years as a brand consultant. Lesley is a Design Associate for the Design Council. She has also recently guest presented in Manchester for Hyper Island and in London for the Central Research Laboratory. She has a first class honours degree from the UCE Business School and also studied at L’Université de Toulon et du Var in the south of France. Lesley has a keen interest in theories on person-centred psychotherapy and organisational culture. 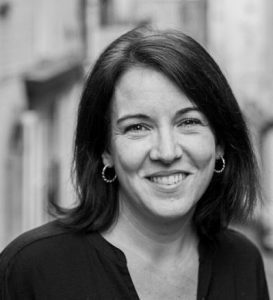 Merle Hall is CEO of Kinneir Dufort (KD), a leading user-centred innovation and product development consultancy. She leads a team of 80 strategists, innovators, researchers, designers, engineers and makers. Merle joined KD in 2009 and in 2016 led a private-equity backed management buyout. She has 20 years’ experience in design consultancy and is an expert in design thinking, strategy and innovation, launching life-changing products and services globally, focusing on medical and consumer markets. Clients include Roche, AZ, Unilever, RB, Coca Cola and Raspberry Pi. Merle is a regular writer and speaker at an international level and curates the podcast, KD Conversations. Kinneir Dufort’s purpose is centred around designing a better world and as such, we are responsible for rolling out the regional chapters of Kerning the Gap, (championing women in design leadership). In addition, we partner with STEM organisations Teen Tech and the Big Bang, the RSA and various charities focusing on the next generation of innovators, designers and engineers. Jeremy is responsible for design across Diageo’s current brands and new products worldwide. His role is to transform Diageo’s design capability and output. Recent projects have included the redesign of Johnnie Walker Blue Label, Baileys Original Irish Cream and the creation of John Walker & Sons Diamond Jubilee – a limited edition of 60 bottles retailing at over £100,000. Prior to joining Diageo Jeremy was Head of Design for Tesco Stores Ltd. He was responsible for design across the portfolio of 19,000 private label products and for leading the Store Formats and Design teams. His early career was spent working as a Design Consultant and University Lecturer. Jeremy is a Fellow of the Royal Society for the Arts and is active in a number of Design Industry bodies. After qualifying as a Chartered Accountant, Will Rowe made the leap from practice to the marketing services industry, joining the Michael Peters Group in 1988. Inspired by the passion and creativity he encountered, Will spent the following decade working in advertising, direct marketing and design, focusing on the financial, commercial and operational side of agencies including Cousins Advertising and Rapier. Joining 40-strong Rufus Leonard as Finance Director, Will became Managing Director in 2000. Working closely with Neil Svensen and the team, he has helped develop Rufus into one of the largest independent design agencies in the UK, with the unique ability to bring brand insight to the evolving digital world. Rufus Leonard is now 75 strong and ranks in the top ten of both design and digital league tables. Championing Corporate Social Responsibility and sustainability since its early days, it sponsors and supports the Carbon Disclosure Project (of which Will is a Commercial Adviser) which provides a secretariat for the world’s largest institutional investor collaboration on the business implications of climate change. Nir is the founding partner and CEO of BrandOpus, one of the UK’s leading branding design agencies. His career spans both design and advertising. Life began in Israel, followed by an education in Switzerland and university in London where he gained his MBA. Specialising in complete brand transformations, Nir’s career has seen him work with world renowned brands ranging from small luxury brands, such as Elida Fabergé, through to global FMCG brands, such as Kraft Heinz. He started out in advertising in the 1980s at agencies such as FCB, Publicis and Lintas where he held Board Account Director roles in the UK and Europe. He then moved into brand design joining JKR as Managing Director in 1996, helping grow the agency from 30 to 100. Nir founded BrandOpus in 2007 with a number of his peers. Over the last ten years the agency has grown rapidly, expanding globally with studios in Melbourne and latterly New York as well as London. BrandOpus is recognised as one of fastest-growing agencies in the UK and has recently expanded into offering comms to reflect the changing needs of clients. The agency specializes in branding with a diverse range of iconic brands and clients within FMCG, B2B and food service, with this work winning a number of Design Effectiveness Awards. Nir is actively involved in the business providing strategic input for senior clients and focuses on growing the agency. Nir is a collaborator and friend to pioneers in the fields of archetypal psychology, cognitive neuroscience, semiotics and behavioural economics. He is a regular media contributor, a guest lecturer at London Business School and is a regular speaker at Cannes Lions, the world’s largest festival of creativity, on the subject of branding.